A site off Wisconsin contains 37 known wrecks, with some 80 more awaiting discovery. 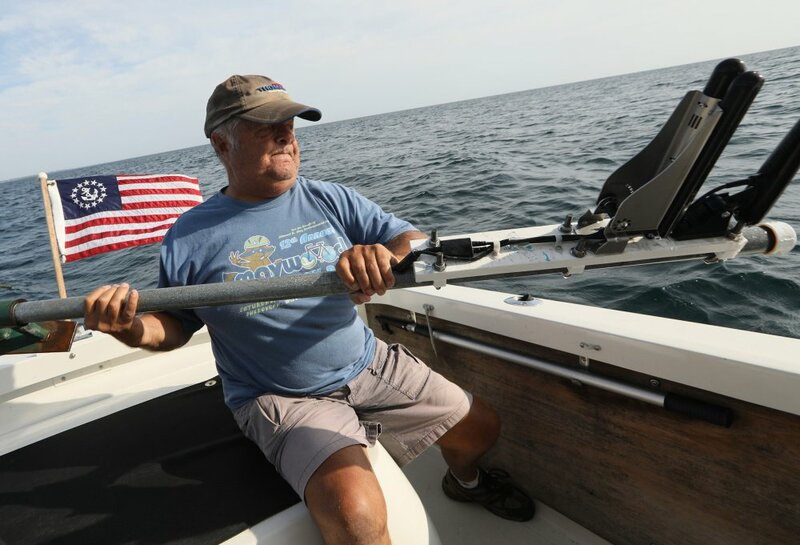 SHEBOYGAN, Wis. — After a year of scouring the depths of Lake Michigan with a sonar-equipped fishing boat, Steve Radovan finally got a hit on the gray-scale monitor in the captain’s cabin in May 2016. The 71-year-old shipwreck enthusiast powered down the Discovery’s engines and dropped a waterproof camera attached to a rope into roughly 300 feet of water. The images revealed a three-masted barquentine, covered in mussels and algae but lying on the bottom still largely intact. After reporting the finding to the state of Wisconsin, he learned the foundered ship was the Mojave. With a cargo of 19,500 bushels of wheat, the ship had set sail from Chicago en route to Buffalo in 1864. The Mojave was spotted by the crew of a passing ship as it dropped into a trough of stormy waters. A small boat and cabin doors belonging to the lost ship were later recovered on the eastern shore of Lake Michigan, but the vessel lay deep below the surface for over a century. For more than a century, sinking ships claimed thousands of lives, burnishing Lake Michigan’s reputation as being among the most dangerous waters to navigate. Its notoriety as the deadliest of the Great Lakes is evident from an expansive graveyard of shipwrecks spanning the shoreline of Wisconsin – a testament to the perils taken on by crews and passengers who navigated the waters in the 19th and 20th centuries. Under a new push by the National Oceanic and Atmospheric Administration, the ghostly collection of sunken vessels could become the first national marine sanctuary in Lake Michigan and the second in the Great Lakes. NOAA is expected to make a final decision by next year; then Wisconsin Gov. Scott Walker and the U.S. Congress are to review the proposal. Advocates say time is of the essence if the public is to view and study the wrecks because their structural integrity is endangered by the zebra mussels, an invasive species known for its propensity to cling to objects underwater and rapidly reproduce. The mussels can be cancerous, as evidenced by what happened to the Gallinipper, a fur trading ship that went down in 1851 and remained in pristine condition on the lake floor for more than a century. 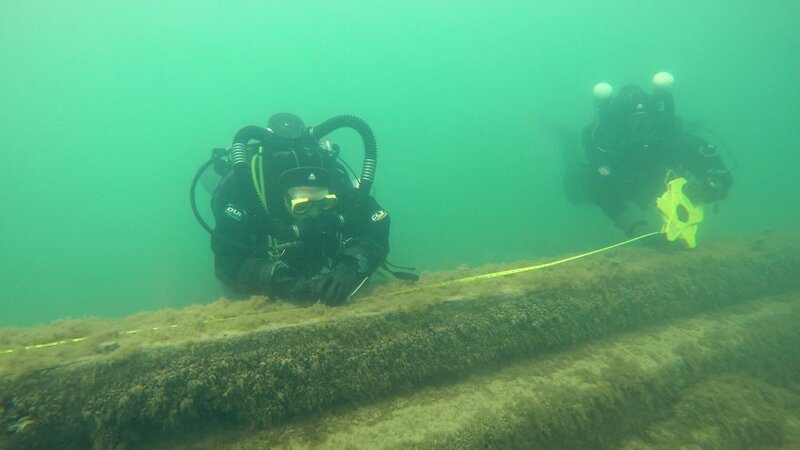 While the sheer number of sunken vessels makes Wisconsin’s slice of Lake Michigan stand out, the site is also renowned for the remarkably sound condition of many downed ships. Fifteen wrecks known to researchers are virtually intact, and 18 are listed on the National Register of Historic Places, per preliminary reports. Divers have found many with masts still standing, unbreached hulls, and even one with nautical charts still stowed in the drawers of the wheelhouse – something that would be unlikely in ocean waters. The proposed 1,075-square-mile site contains 37 known shipwrecks dating from the 1830s through the early 1900s. Researchers say the area could be home to as many as 80 other undiscovered wrecks.